According to a recent analysis by the World Gold Council, reporting on gold demand trends for 2018, annual gold demand gained 4%, driven by “the highest central bank buying in 50 years”. Here are the main highlights from the report. Gold demand trends: Gold demand totaled 4,345.1 tonnes – up from 4,159.9 tonnes in 2017, mainly driven by a “multi-decade high in central bank buying”. In addition, investment in bars and coins picked up in the second half of the year, rising 4% to 1,090.2 tonnes in 2018. As for jewellery, demand was steady at 2,200 tonnes. Central Bank demand: Central banks added 651.5 tonnes to official gold reserves in 2018 – the second highest yearly total on record, “as a greater pool of central banks turned to gold as a diversifier”. Net purchases jumped to their highest since the end of US dollar convertibility into gold in 1971. Annual jewellery demand: Full year jewellery demand was steady at 2,200 tonnes. There were sharp losses in the Middle East, but these were offset by rising demand in China, the US and Russia, while Indian demand remained stable through 2018. Retail investment in gold bars and coins rose 4%, while coin demand rose to a five-year high, totaling 236.4 tonnes – the second highest on record. 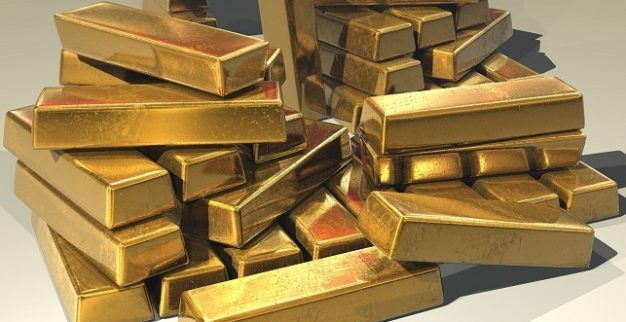 Demand for gold bars held steady in 2018 at 781.6 tonnes. Gold in technology: In 2018, there were marginal gains in the volume of gold used in technology, largely “crimped by Q4 slowdown” despite healthy gains during Q1-Q3. According to the WGC, “a combination of slowing smartphone sales, the trade war and mounting uncertainty over global economic growth, contributed to a 5% decline in Q4”.